Buy 9lb Hammer seeds online with Seedsbay. 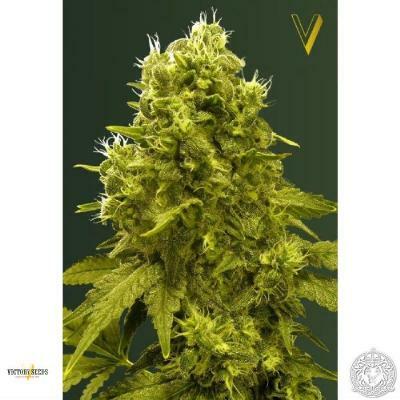 Here you will find detailed information	on the 9lb Hammer cannabis seeds, from specifications and reviews to flavors and effects. We have listed	every seedshop where you can buy 9lb Hammer seeds along their offers. Compare prices on 9lb Hammer seeds	and get the best deal for yourself! Read the 9lb Hammer seed specifications in the table below. The values may vary between the	different seedbanks where you can buy 9lb Hammer seeds. This 9lb Hammer strain has a variety of both sativa as indica with THC levels of 20.5 percent. 9lb Hammer is related to the following strains; Gooberry, Hell's Angel OG and Jack the Ripper consisting of 80% indica and 20% sativa. 9lb Hammer will grow into a beautiful cannabis plant with nice buds. Germinate the 9lb Hammer seeds and grow it into a nice cannbis plant, a fast flowering period of 60 days before the plant is ready. Buy 9lb Hammer seeds at one of the 15 shops listed below, you have multiple options to buy 9lb Hammer seeds for a good price. We have listed all seedshops where you can buy 9lb Hammer cannabis seeds. Compare prices and offers before you buy 9lb Hammer seeds and get yourself the best deal available. Read what other people has to say about 9lb Hammer seeds. Read all reviews on 9lb Hammer seeds, or write your own! These seeds are related and similar to the 9lb Hammer seeds.